My passion for building the best performance overdrives began in the late '80s when our Turbo Buicks began to surpass the abilities of the stock 2004R transmission. There was little to no after market support for these transmissions, so I began to develop my own products and upgrades to make the 2004R the #1 choice performance overdrive transmission. Even to this day we are developing new and improved products for the 2004-R and for the 4L60-E transmission which we already have in some of the most powerful LT1/LS cars & trucks in the country! We are the leading performance experts on the 6L80 & 6L90 transmission and tuning. Most recently, we are devolping clutch & hard part upgrades and tuning for GM's 8L90 8 speed transmission. We also specialize in performance 4L80, performance & H/D truck & diesel overdrives, 3 speed and Power Glide, Chrysler/Jeep NAG1, Ford 6R80 transmissions from Pure Street to Pro-mod. Century has ASE Certified Technicians on staff to handle any automotive need from preventive maintenance to major service and repairs. We also provide in-house overdrive installations/conversions for those who want the best overdrive money can buy installed in their hot rod or street machine. If you have any questions regarding our products or service, please give me a call. Tech questions always welcome! 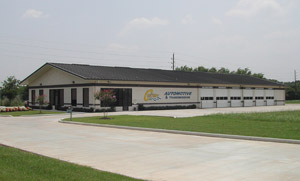 Thanks for visiting Century Automotive & Transmission!